Clean the Mussels and place them in a pan with a little water and cover to open the shells. When cooked remove the mussels from their shells. In a pan add the oil, garlic, shelled mussels and cook for about 5 minutes. 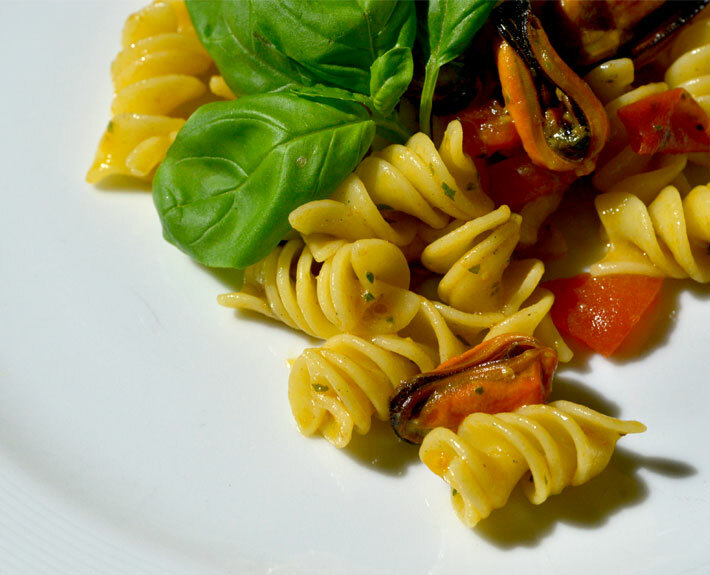 Deglaze with some white wine, add the tomatoes and passata and add the cooked and drained fusilli. Stir on the heat to blend the flavours. A Production by NGAME and iBANANA, genoese music Trio Universal “Unn-a Magnà de palanche” kindly lent by DEVEGA available on Amazon and iTunes.